I SAW THIS with my own eyes and I HEARD THIS with my own ears . . .
Bobby Knight, as a television broadcaster in a college game last night (I think it was Kansas-Washington) COMPLIMENTED the referees. Yep, COMPLIMENTED them in his broadcast. Then, he TOLD THEM TO THEIR FACES what a great job they were doing. In the book of Revelation, when John wrote about the Lion and the Lamb together, THIS MIGHT BE WHAT HE WAS TALKING ABOUT. Okay, just kidding on that one, but if you knew about Bob Knight like I know about Bob Knight, you would be in the same shock I am in right now. Everywhere I turn, CHRISTMAS!!! Christmas music, Christmas decorations, ideas and commercials for Christmas gifts. Like it or not, Christmas is HERE!! BUT . . . We haven’t yet seen the Macy’s THANKSGIVING Day Parade . . . Or football on Thursday afternoon . 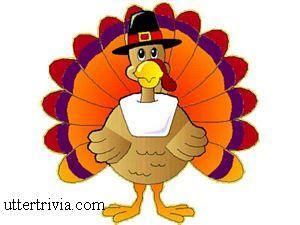 . . Or cajun fried turkey (which is the ONLY way to eat turkey now) . . . Or cousins that I probably won’t see until NEXT Thanksgiving! I love Christmas, but let the season start in the proper timing . . . THE DAY AFTER THANKSGIVING!!! Yep, I wrote it and I BELIEVE IT!! 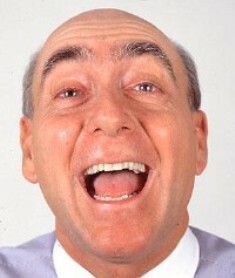 The voice of Dicky V tells me that HOOP SEASON IS HERE!!! And, no matter how the Tar Heels do, its gonna be fun if Dicky V is part of it!! I remember the first time I heard him call a game . . . Listening to him was just like goin to an aerobics class at the Y. It literally burns calories to keep up with him, figure out what he is saying, and then make sense of it. And I know that you either love to hear him or you don’t. No middle ground. And I LOVE IT!!! ITS GONNA BE AWESOME, BABY!!! WITH A CAPITAL A! 1. Load your plate up high; take it to the kitchen, toss it all in the blender and take your “shake” back to the table. Announce that it’s the new Thanksgiving Weight Loss Shake. 2. When everyone says, in turn, what they are thankful for, say, “I’m thankful I didn’t get caught,” and refuse to say anything more. 3. Bring along old-recorded football games and pop them in the VCR (or DVD) when Dad’s not looking. Make sure it is set to the last two minutes of the game. When he comes into the room, turn off the VCR and turn on the regular TV. I got a call last night from a friend telling me there was something sketchy on my Facebook account. A notice, saying I had posted a flair that dropped the F bomb and said I was going to get drunk. Well, anyone who knows me knows that is NOT me. The weird part is that I went all over my FB account and could not find it. Diana went on hers and looked at my stuff and we could not find any trace of it. But, he is a friend and said it was on his news wall about me. What to do?? FB has really become a useful tool in my ministry (and I mean that). I made a quick decision to remove the Flair application and not to accept any more requests to join applications. (I get about 12 a day). FB has, in many ways, become so useful in staying connected to EBC folks. I love it, and don’t know what I would do without it. And, I am willing to do without some of the enhancements if I must. How good are YOU at YOUR JOB??? I am so good at what I do . . . You know, one of the old wives’ tales about being a pastor is that it is my job to make people mad. I don’t like doing it, but it does happen. Actually, it is not as much as a wives’ tale as you might think. Am I happy about it??? No, but I figure we will ALL stand before a just and righteous God one day. He will handle it. But I do think it is sad that something that should be innocent, like church basketball, can become such an idol to some people that it would drive them to say and do things that are clearly ungodly. I was talking to a child this week about accepting Christ and we were talking about how sometimes good things can cause us to sin. Case and point. So, you never knew your church staff put up with stuff like this, huh?? ?